The defending champions also got a pounding from Burnley as they lost 0-3 at home. Man United have not won the Premier league title since Sir Alex Ferguson retired in the 2012/13 season. They also haven’t finished in the top three ever since, something which they avoided for 22 years. Jose Mourinho was appointed last season and he has done a good job in building the team. He has helped the team to qualify for Champions League as Manchester United won the Europa league and they also won the Capital one Cup. With three new signing so far Mourinho looks to add more and more talent to the squad. Their pre-season was good as they won every game and lost one. They played against the Champions League winners Real Madrid in the UEFA Super Cup and lost the game by 2-1. They played the second half well but was dominated by the Spanish Champions in the first game. Romelu Lukau scored the only goal for United but also missed a sitter. WHU have bought on some very talented players who all have good premier league experience. Joe Hart, Pablo Zabaleta and Javier Hernandez all have been very popular in the Premier league, especially Hernandez who is a former United player. The Hammers have lost 10 opening day fixtures. Hernanadez have already netted 37 goals for Man United and would be looking forward to a positive start for West Ham. They have last won a game against United in May 2016 when they won by 3-2. Manchester United are in good form despite their against Real Madrid and can easily take on West Ham United but then again nothing comes easy in the Premier league. 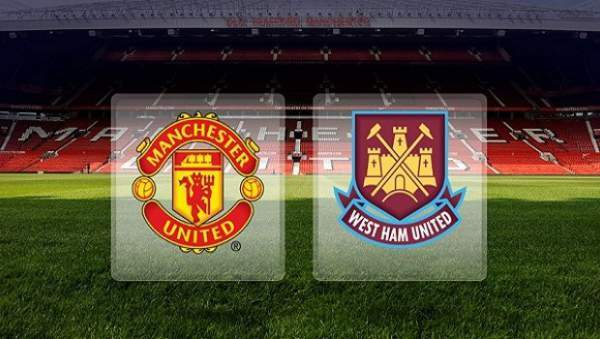 Come back for Manchester United vs West Ham Live Streaming, epl live scores, commentary, match result, video highlights, scorecard, and much more. Let’s know your views, thoughts, and predictions about the match. Stay tuned to The Reporter Times for latest football news and other sports.